wording wording (required)Thank you for being my BridesmaidThank you for being my Maid of HonourThank you for being my Flower GirlWill you be my bridesmaid?Will you be my maid of honour?Will you be my flower girl? wording (required)Thank you for being my BridesmaidThank you for being my Maid of HonourThank you for being my Flower GirlWill you be my bridesmaid?Will you be my maid of honour?Will you be my flower girl? wording (required)Thank you for being my BridesmaidThank you for being my Maid of HonourThank you for being my Flower GirlWill you be my bridesmaid?Will you be my maid of honour?Will you be my flower girl? 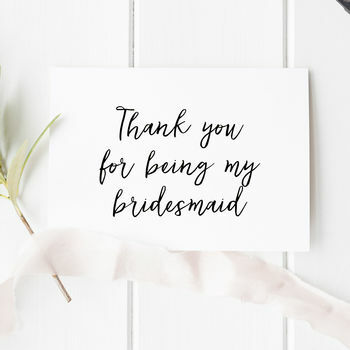 wording (required)Thank you for being my BridesmaidThank you for being my Maid of HonourThank you for being my Flower GirlWill you be my bridesmaid?Will you be my maid of honour?Will you be my flower girl? 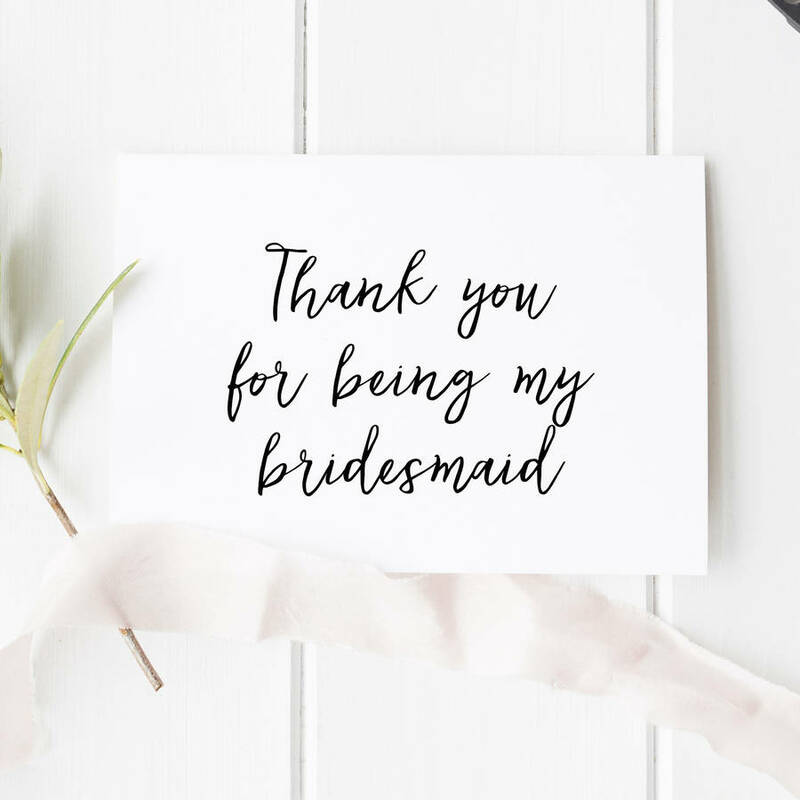 A gorgeous, calligraphy card to say 'thank you for being my bridesmaid'. Also available as maid of honour, flower girl, or personalised. This pretty card is the perect way to say thank you to those pals who worked so hard to make your special day run so smoothly! Please choose from bridesmaid, maid of honour of flower girl.